Style #T2139 Keep cool and dry the whole night through with these Mix & Match Women's Moisture-Wicking Pajama Shorts from Cool-jams™. For anyone who struggles with night sweats due to menopause, health issues or other reasons, the proprietary fabric technology in these women's sleep shorts promises to wick away moisture from the skin while you sleep. This innovative fabric also has a soft, silky texture and a lightweight feel, and it even prevents the growth of bacteria that causes body odor. 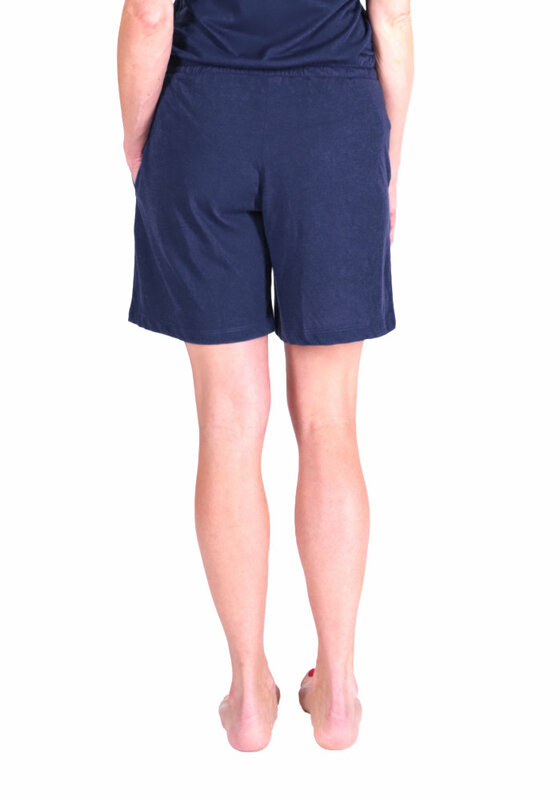 These women's moisture-wicking pajama shorts feature a wide waistband, side seam pockets with a comfortable drawstring to create the perfect fit, as well as a perfect length that hit the perfect spot above the knees (6.5" inseam). These women's sleep shorts elastic waist can even accommodate waists that measure up to 3 inches wider than the size noted on our size chart. Choose from our selection of stylish colors to pair these drawstring sweat wicking shorts with any other Cool-jams™ pajama shirt, robe and other wicking items. The most important measurements on the size chart are hip and waist. Short inseam length 6.5". Women's sleep shorts weight approximately 4 oz. 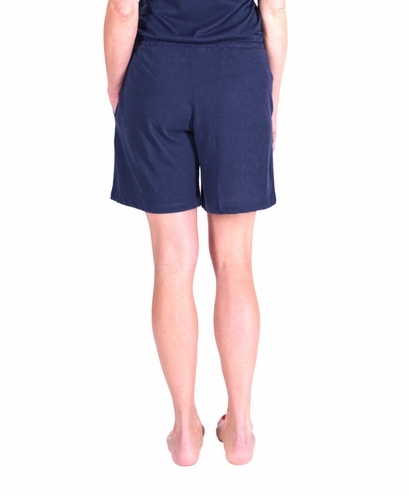 Wash your women's moisture-wicking pajama shorts in cool or warm water on gentle cycle. Never use fabric softener or fabric softener sheets because it will minimize the wicking properties of the fabric. If you accidentally use fabric softeners, re-wash the garment in clear water to remove softener residue, so the wicking properties will return to maximum effectiveness. Lay your garment flat or hang to dry. Tumble drying won't damage the women's sleep shorts, but can sometimes create static. I have the cool jams and love them. When I saw they had some now that we're quick dry I ordered them. Love them. I travel aND need wash and quick dry clothes. These are perfect and really comfortable. I really like the fabric these shorts are made of but the rise is a bit too short - which is a bit 7nusual for me. I rarely have a short rise problem. I�ll bring them on a trip where I may be sharing a sleeping area with others but will probably just sleep in my underwear most other times. Merchant's comment: Good news we are actually lengthening the rise on all of our bottoms a bit in the future. So you should not have this issue on future purchases. Merchant's comment: Sorry you received some of our older stock which is slowly being phased out. All of the newer stock has pockets.